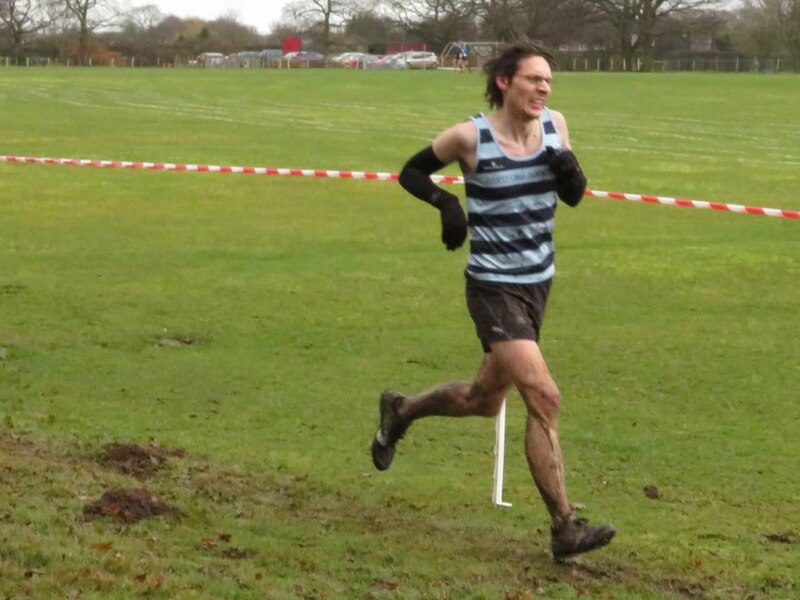 The Kent Fitness League fixture at Blean Woods, Rough Common is another great venue, but in the times I have run here I've always had trouble deciding whether to wear trail shoes or cross-country spikes. 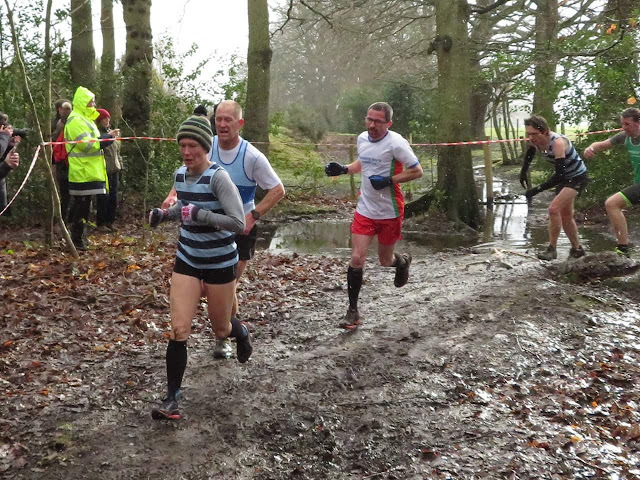 The problem is that the course features a fairly even split between squelchy mud and hard stony paths. So for the final race of the 2017/18 KFL season, I took both shoe options. Upon arrival in the village of Rough Common, I found a space on a side street to park the car. For the record, the on-street car parking is very tight here, so it's a good idea to arrive early and be prepared to drive up-and-down the streets searching for a space. The race HQ is in the Rough Common Village Hall, and this is also where the toilets are located. Standing in the hall looking out of the door at the combination of sleet and hail stones, it was clear that this outing was going to be pretty miserable. After chatting to some team mates, I found out that it was also quite windy out on the playing fields where the race starts and finishes. So heading over to the fields in the rain, I was eager to get started. Back to the shoes conundrum - I had made a decision and went for the spikes. After a quick warm-up it was time to get going. So, after one-and-a-half laps around the sports fields and it was time to dive into the woods themselves. The entry began with a plunge into some fairly nasty mud which released the almighty stench lurking within. The paths in the woods switch between thick mud and firm, stony paths. So, going back to the shoe choice, I think the best advice I can offer is this; if you really can't stand running on hard paths in spikes then go for your trail shoes. However, if you can deal with being uncomfortable underfoot at times, you will benefit from spikes on the muddier sections. The paths undulate all the way around, and the ups-and-downs are typically covered over fairly long stretches. I tried to stick to the edges of the hard paths in an attempt to soften the impact, but it wasn't always possible to find enough soft mud to make much difference. With the wooded section complete, the course heads back out onto the sports field and around to the finish. And with the race complete, the 2017/18 Kent Fitness League cross-country season came to a close. I quickly got changed out of my running gear and into something a little warmer. However, I was frozen to the core, so I discreetly trotted off in the direction of the car. 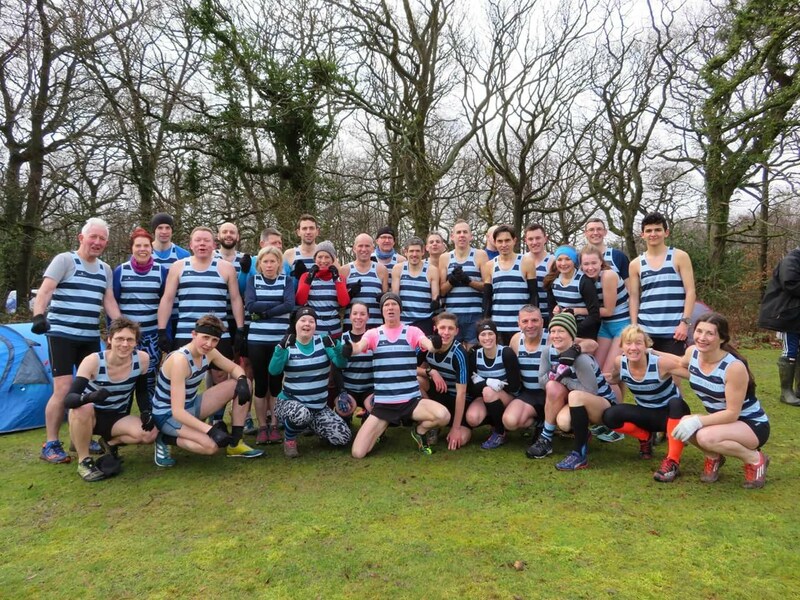 My club, Dartford Harriers, had won the team competition again (Hooops!). For me personally, it marked my second consecutive complete season (all seven races) and my KFL streak reached 15 consecutive races. It turns out that I also ran a course best time, shaving 15 seconds off my previous best from the 2016/17 race.